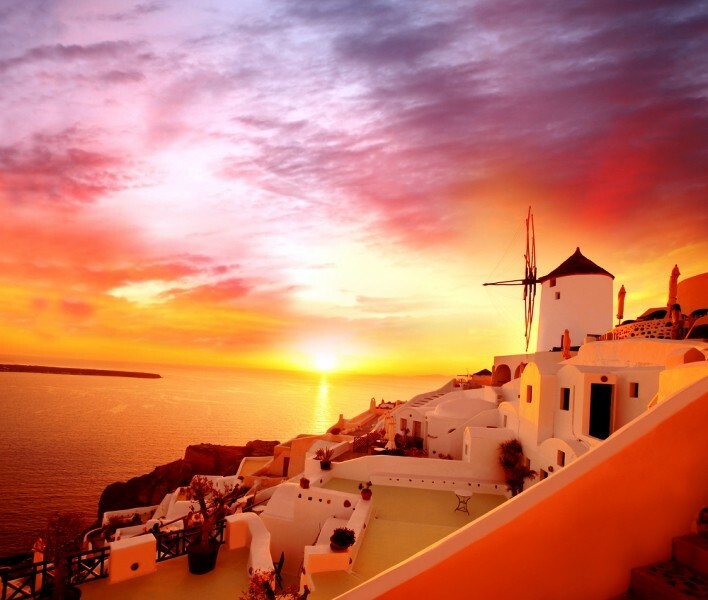 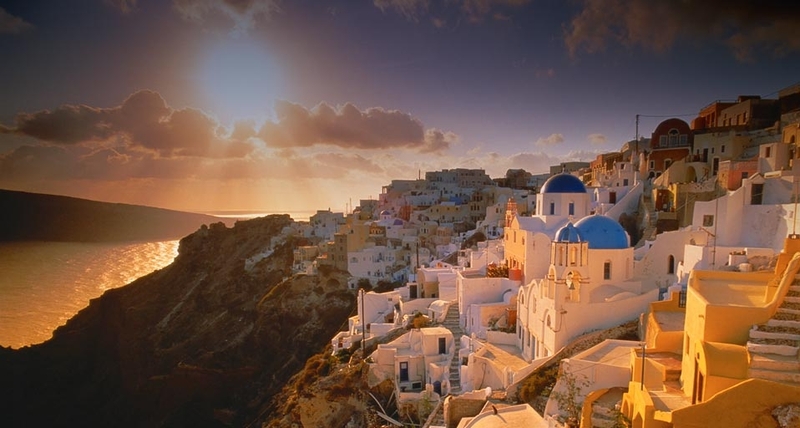 Santorini is a wonderful island full of exciting spots to be explored throughout your holidays there. 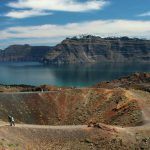 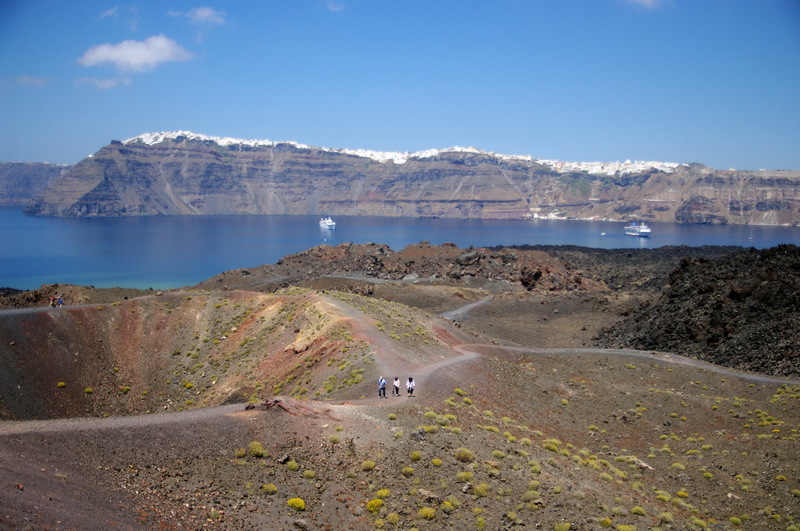 Wondering about Santorini attractions and Santorini sightseeing? 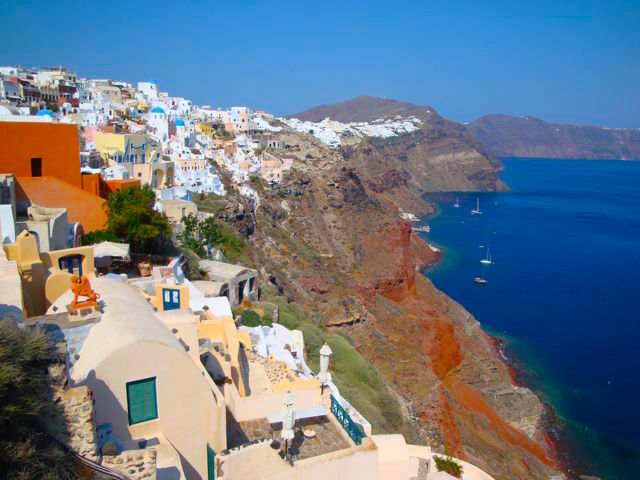 The settlement of Oia Santorini itself, is a fascinating site. 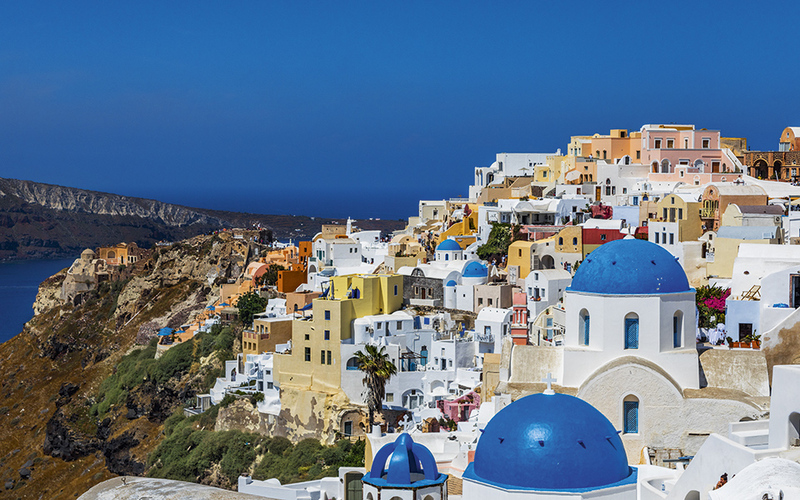 Start off your tour of the area with a stroll through the cobblestone alleyways to admire this charming town and its traditional houses. 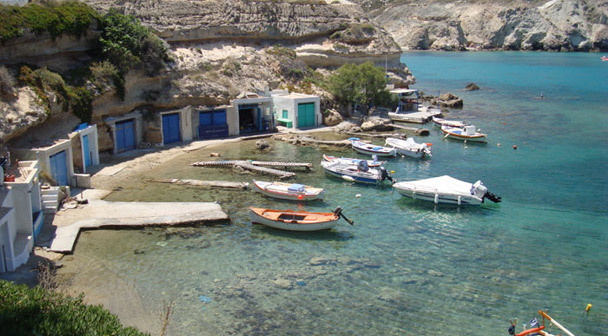 Next we suggest paying a visit to the Maritime Museum, the windmills and the lovely churches in the village. 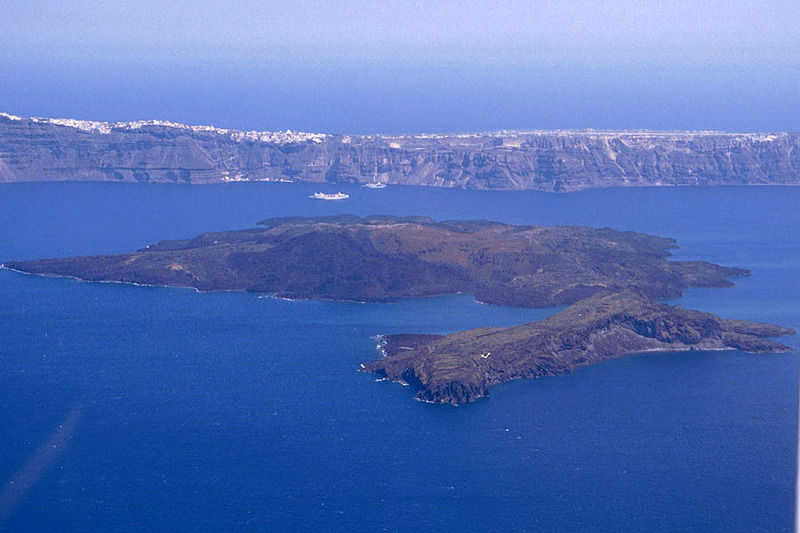 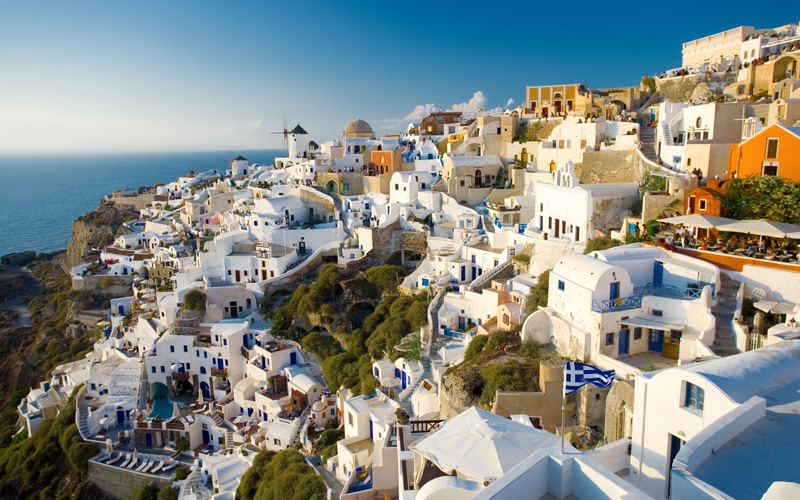 Santorini Island possesses several significant archaeological and historical sites all around. 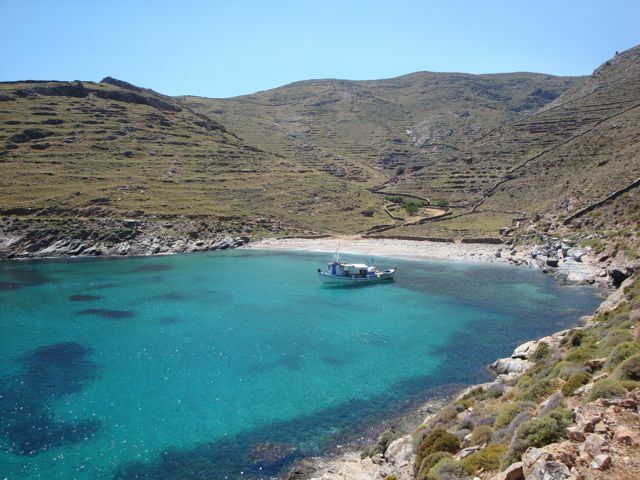 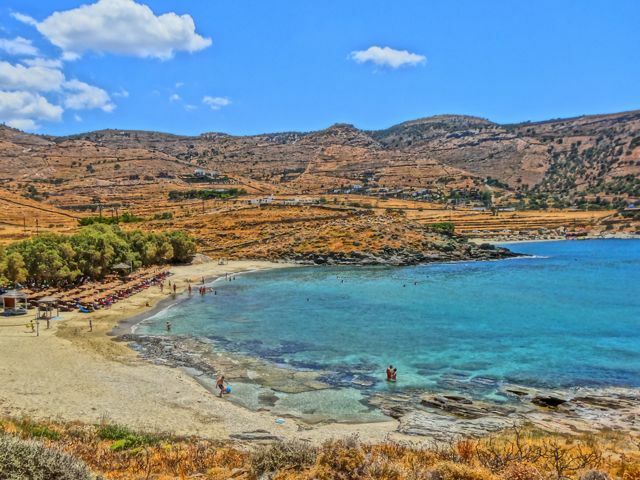 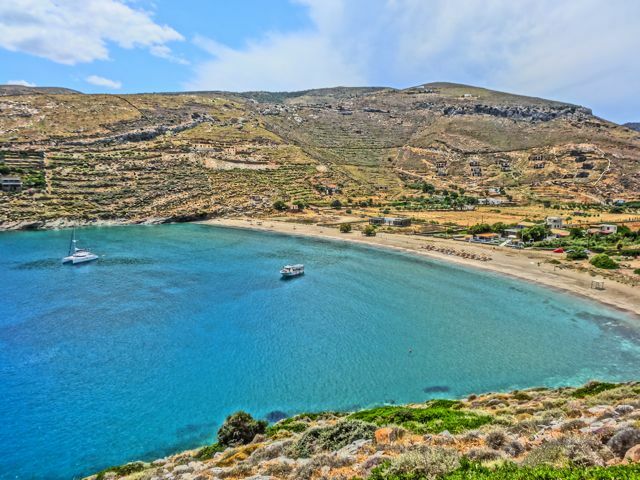 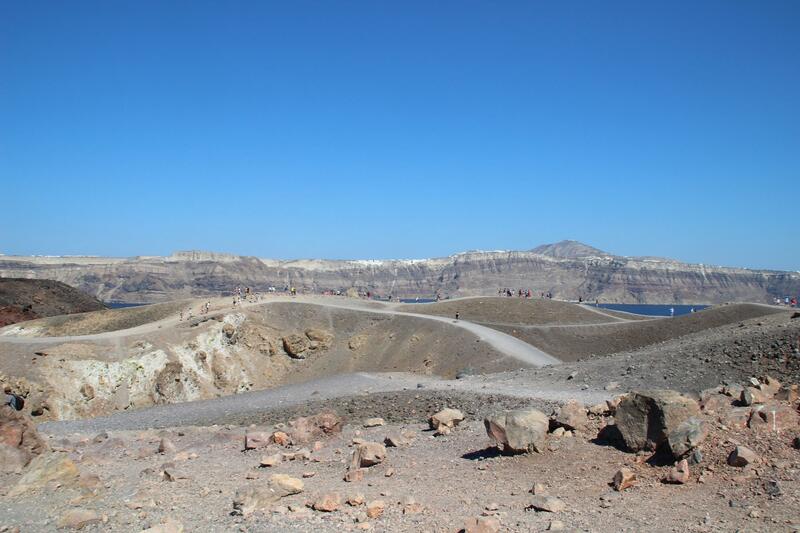 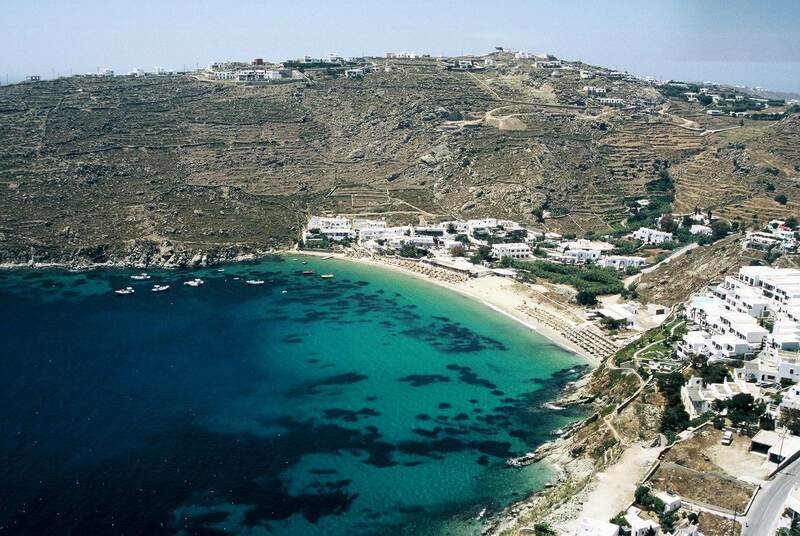 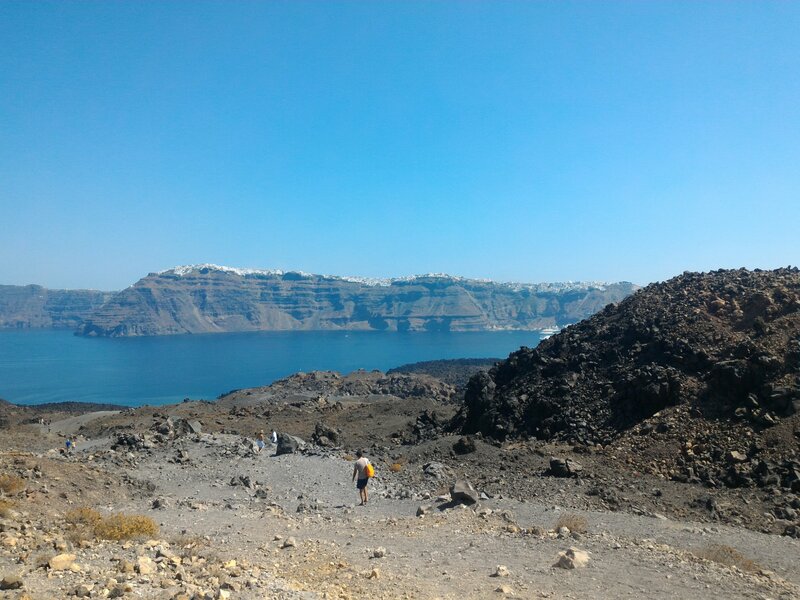 While touring the rest of the island you should pay a visit at the ruins of Ancient Thira in Mesa Vouno. 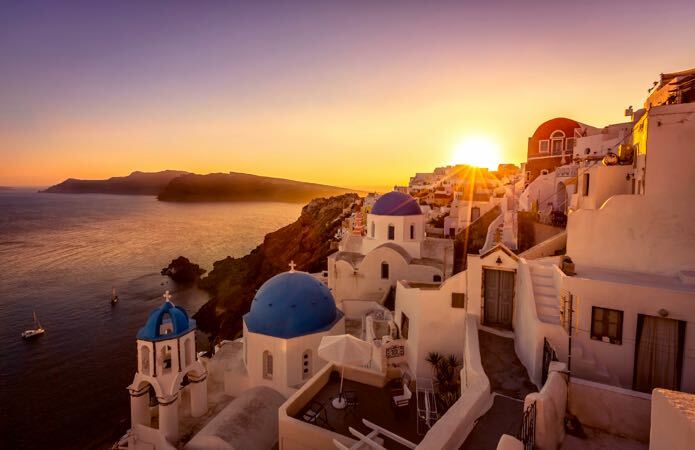 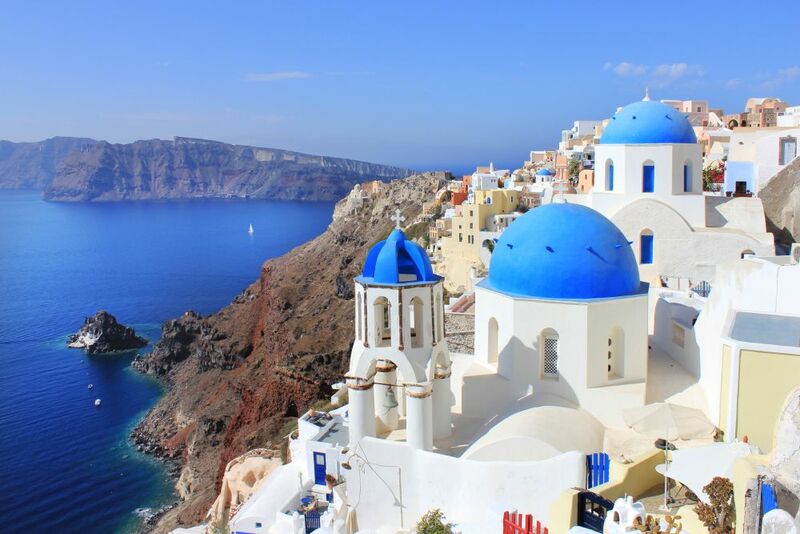 Santorini also brims with magnificent churches, monasteries and Venetian castles you should visit. 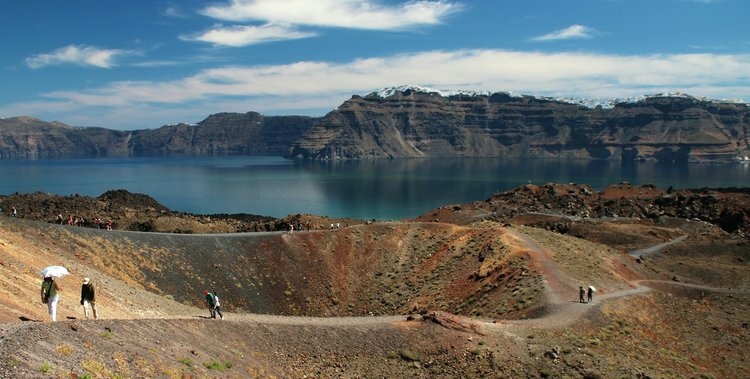 You can view some of the island’s historical and archaeological treasures at the Archaeological, Prehistoric and Folklore Museums in Fira, full of magnificent exhibits revealing so much about the history of the island. 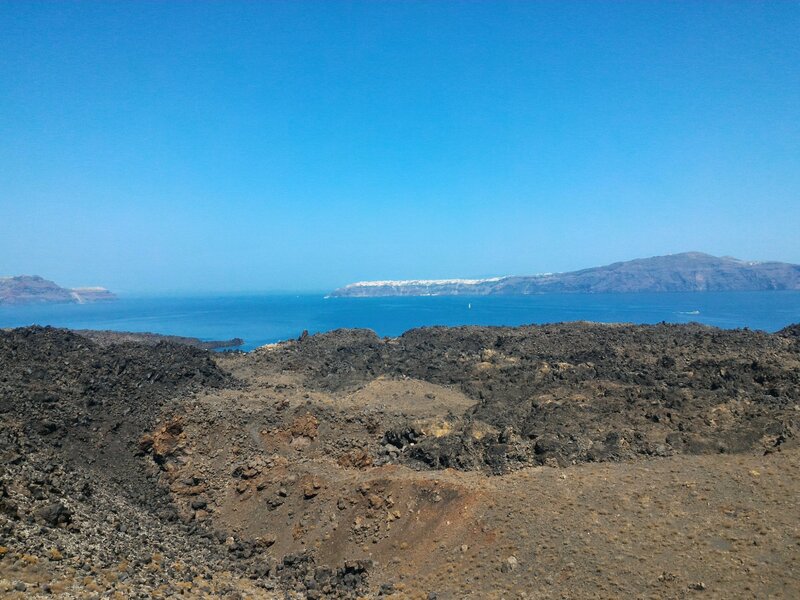 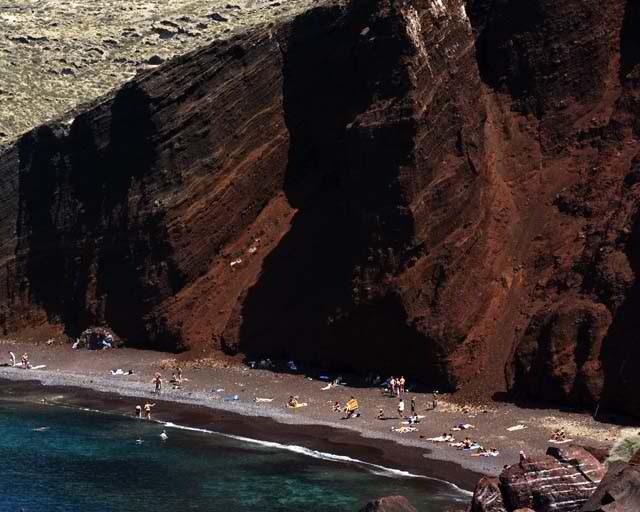 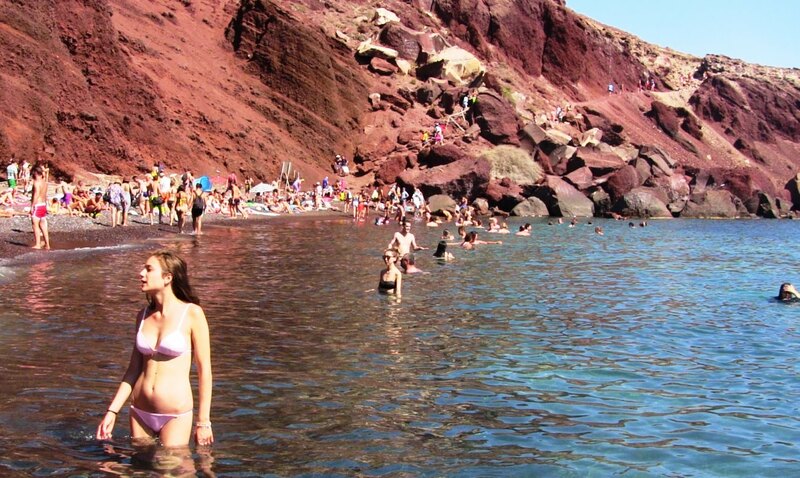 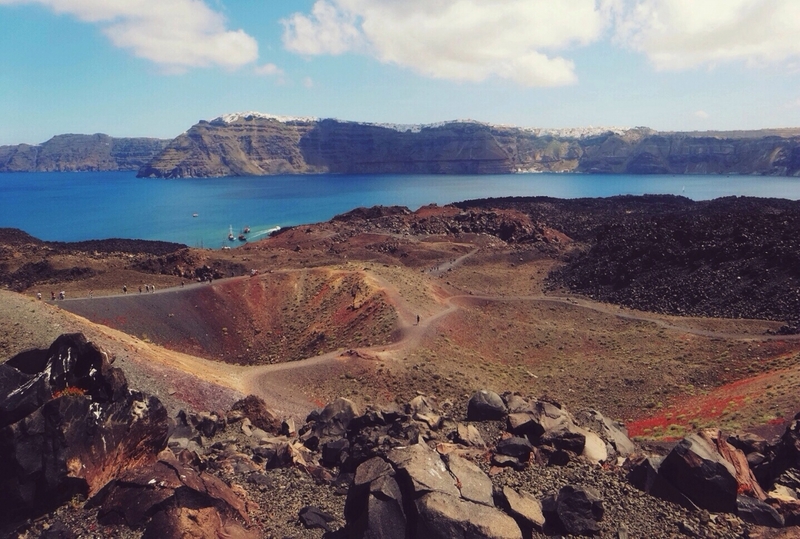 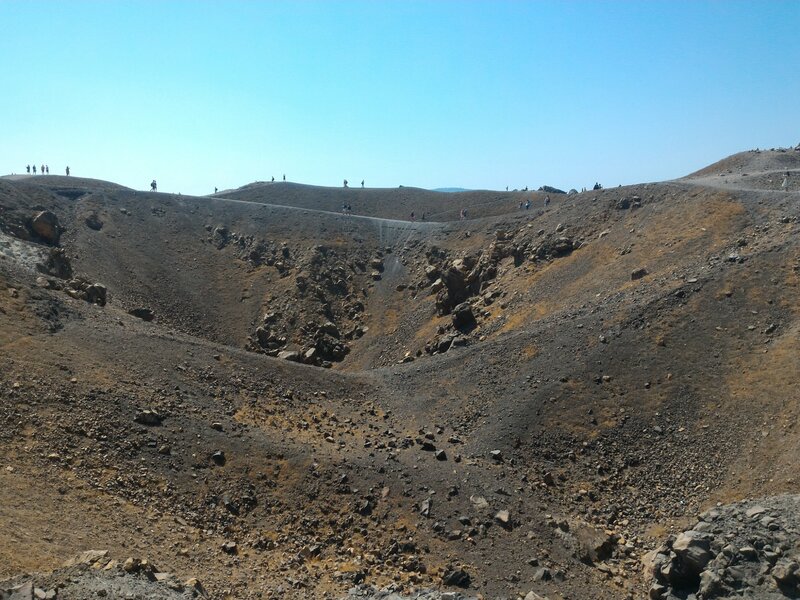 While on the island don’t miss going on a short boat trip to the volcanic isles of Thirassia, Palea Kameni and Nea Kameni, to hike up the volcano, swim in the hot springs and watch the romantic sunset towards their end. 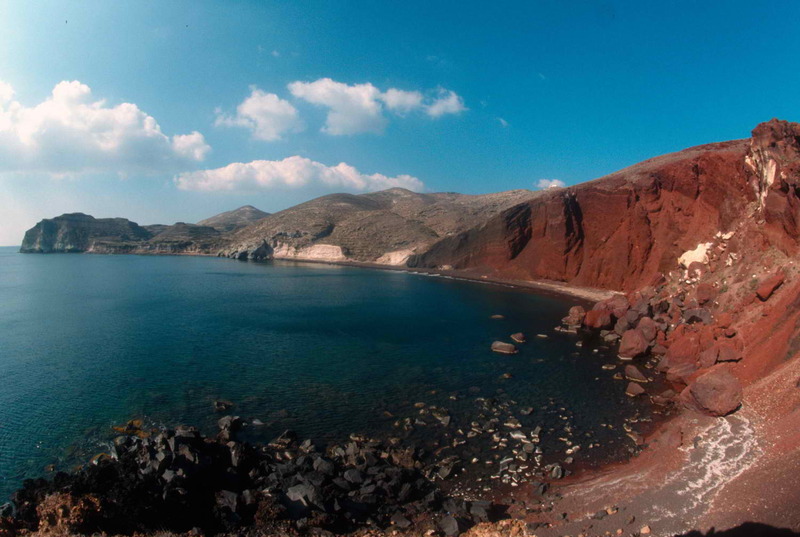 Santorinian wines are robust and have a unique aroma due to the special soil features of the island. 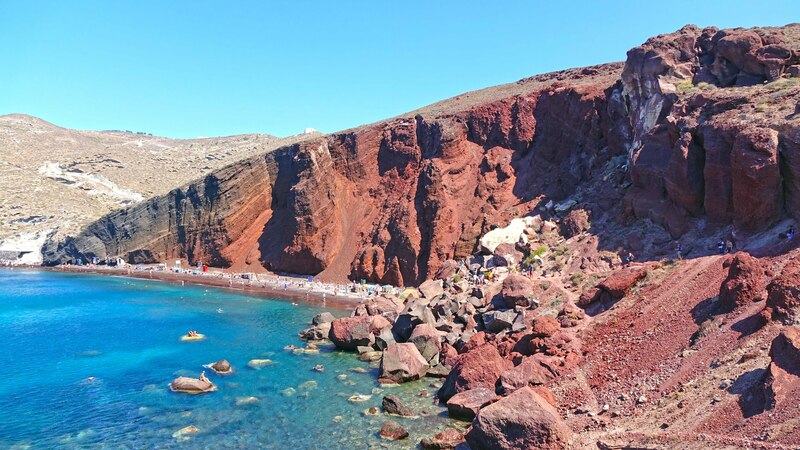 We suggest you try all the varieties while vacationing on the island and your best bet would be to tour around the wineries at the inland of Santorini, such as Purgos, Messaria, Megalohori, etc where apart from sampling the amazing Santorini wine, you will also be introduced to the way wine is produced. 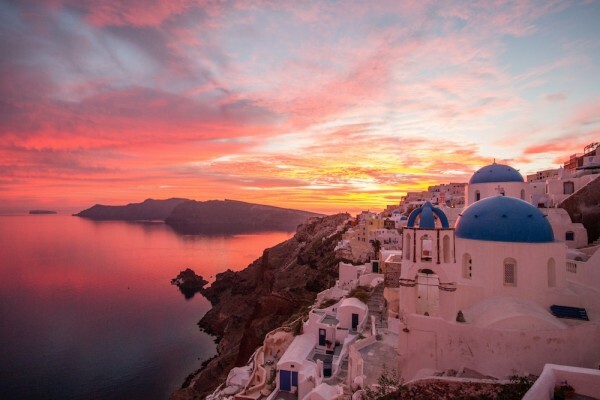 Santorini wine is best enjoyed after tasting some the special Santorini dishes, such as delicious fava (lentil paste), tomato balls, fried white eggplant squash balls, sun-dried cherry tomatoes and fresh seafood. 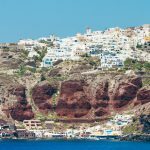 Santorini has 16 wineries, of which you can visit the 13, while in 11 of them there are facilities for access to people with special needs. 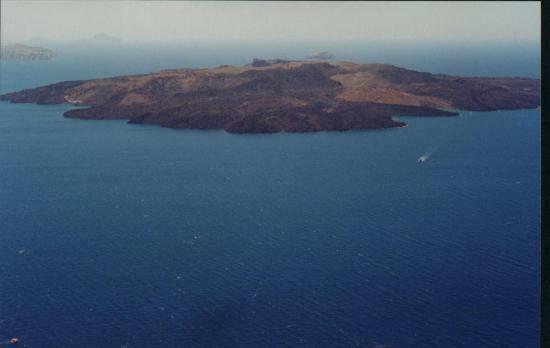 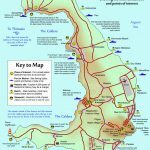 The island’s wineries visited by 700,000 visitors each year. 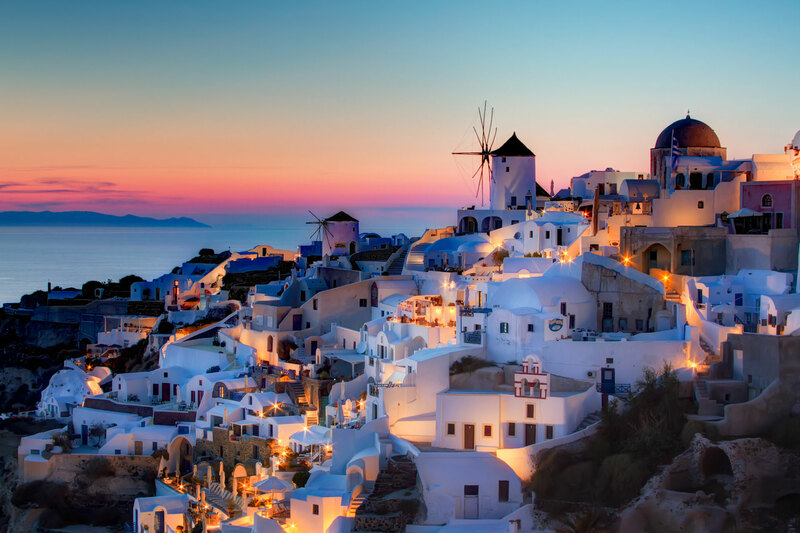 Taking into account that Santorini receives around 2 million visitors each year, then one in three visitors opts to visit the wineries, which is really a unique experience. 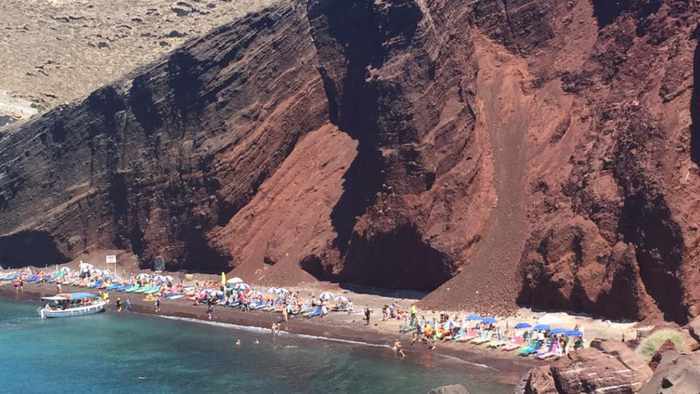 Visitors from Europe, and wine-producing countries such as France, Spain and Italy, but also from the US and China. 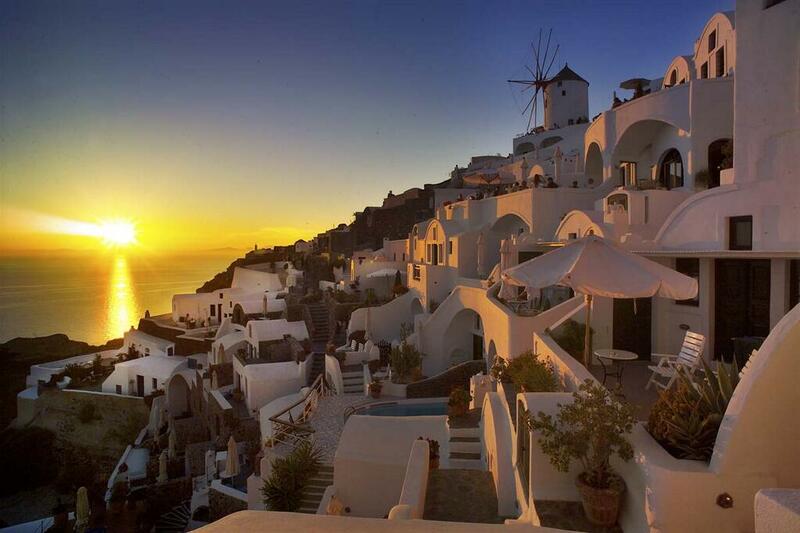 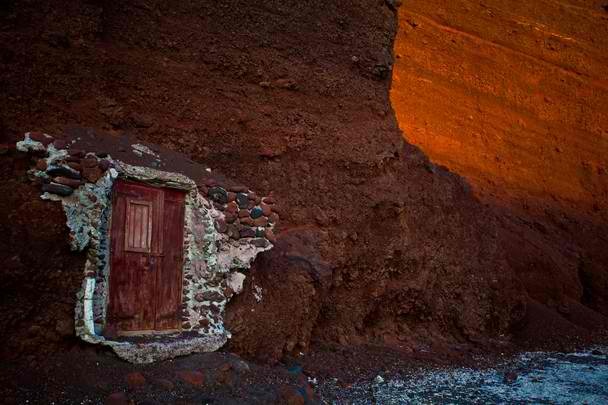 Some wineries in Santorini have wedding rooms, while several wine conferences are held. 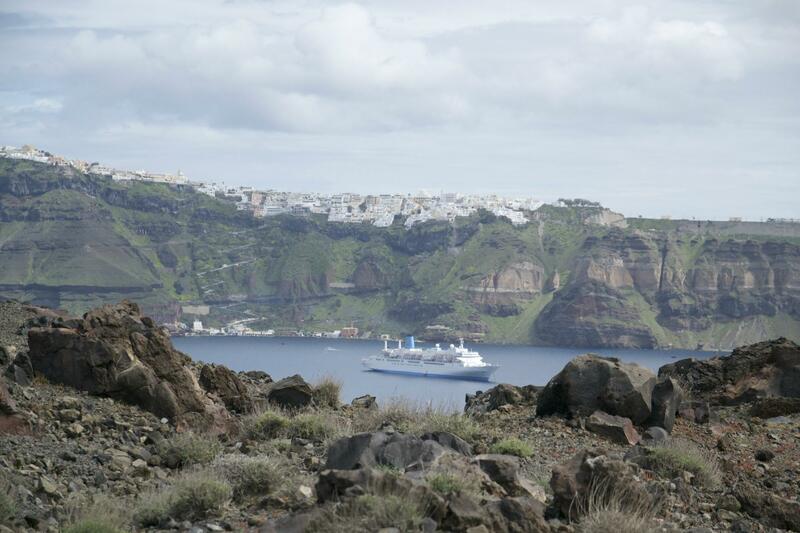 The first organized wine tourism tour of Santorini took place only in 2010 and has since become indifferent to the visitors of the island! 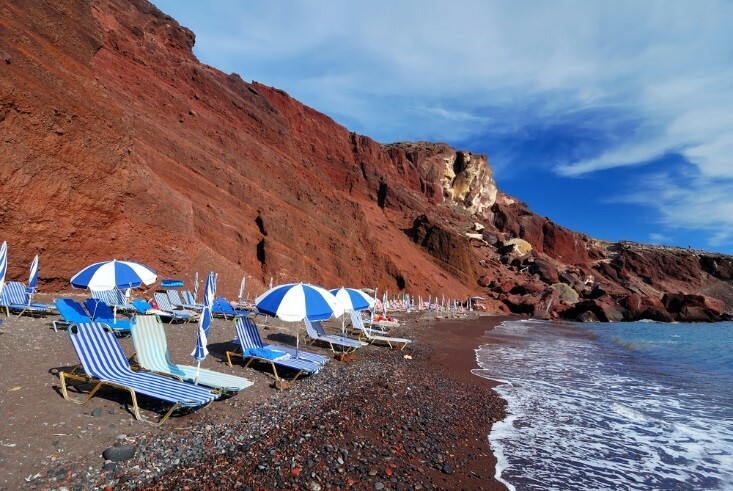 Santorini is renowned for its unique beaches, due to the volcanic properties of the island, which are definitely a must see during your visit on the island. 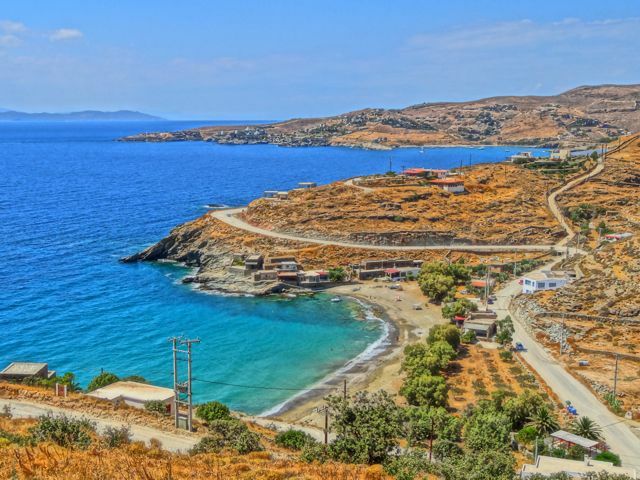 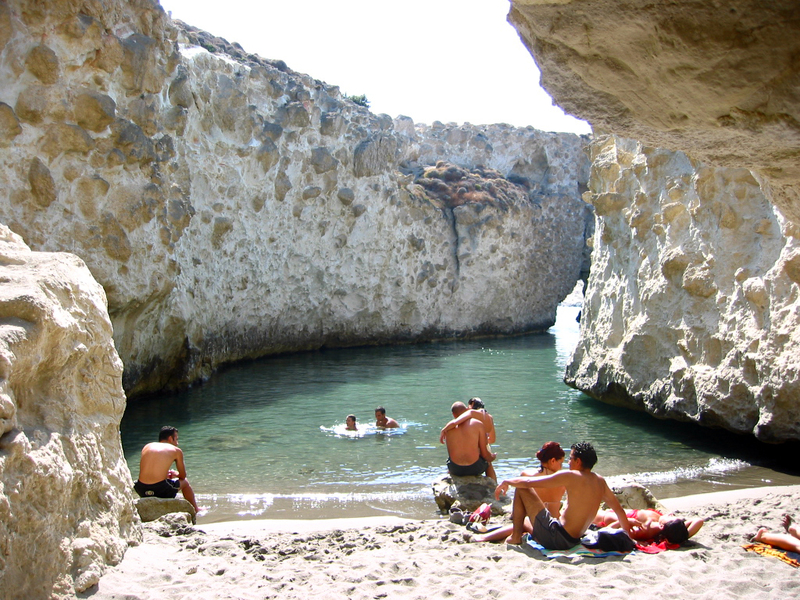 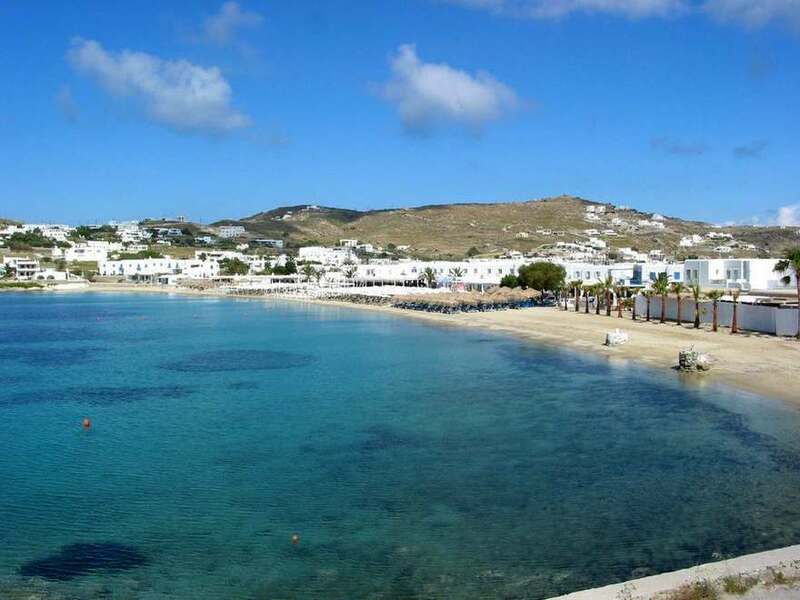 Around the Oia (Ia) region you can explore the beautiful harbors of visitors can swim at the beaches of Armeni and Ammoudi, as well as Katharos, Baxedes, Koloubos and Pori. 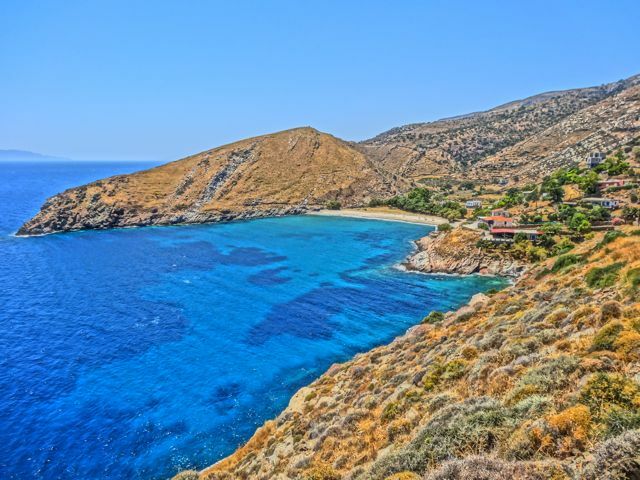 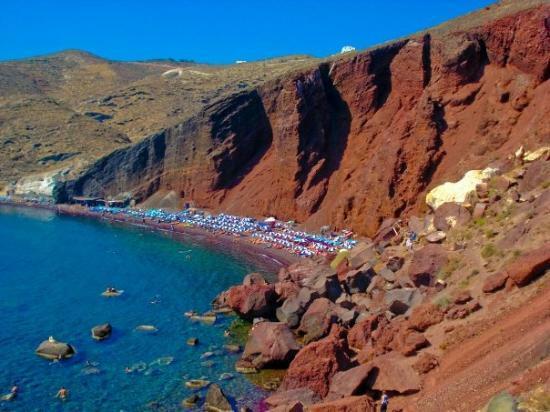 Yet Santorini is well known for its endless black beach stretching along the east coast in Kamari, Perissa, Perivolos and Monolithos. 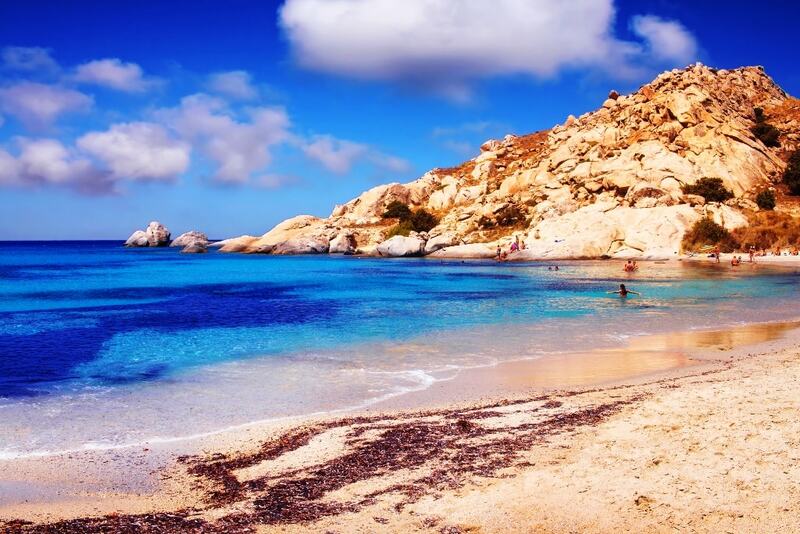 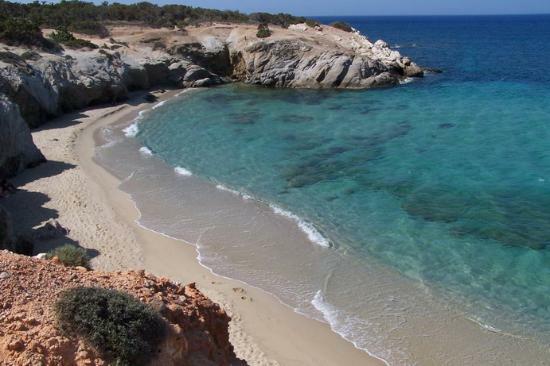 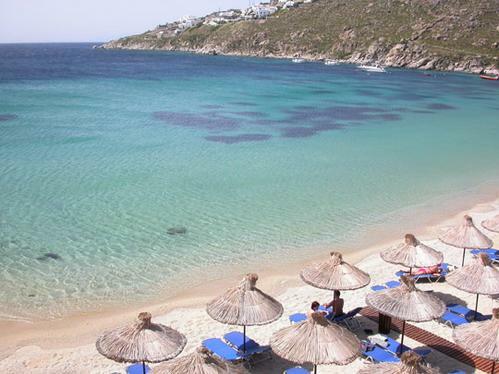 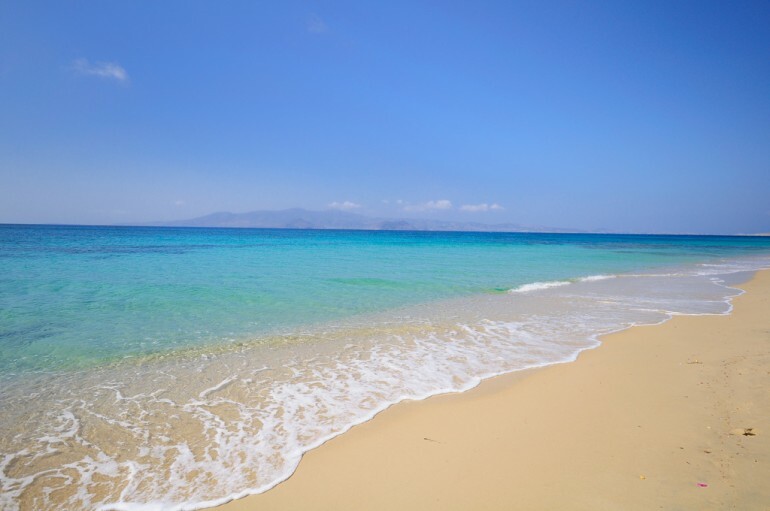 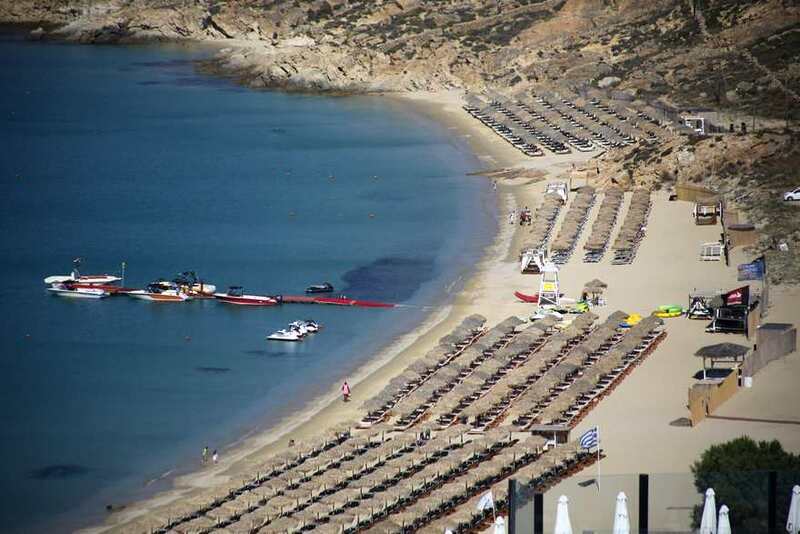 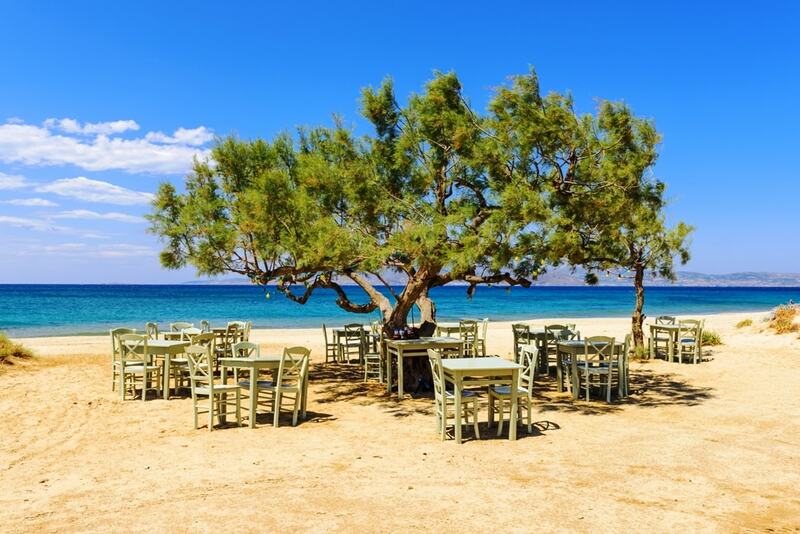 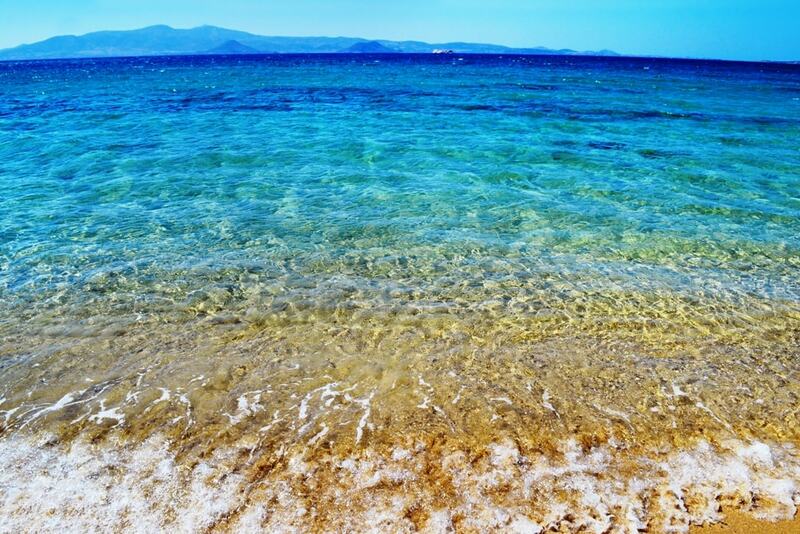 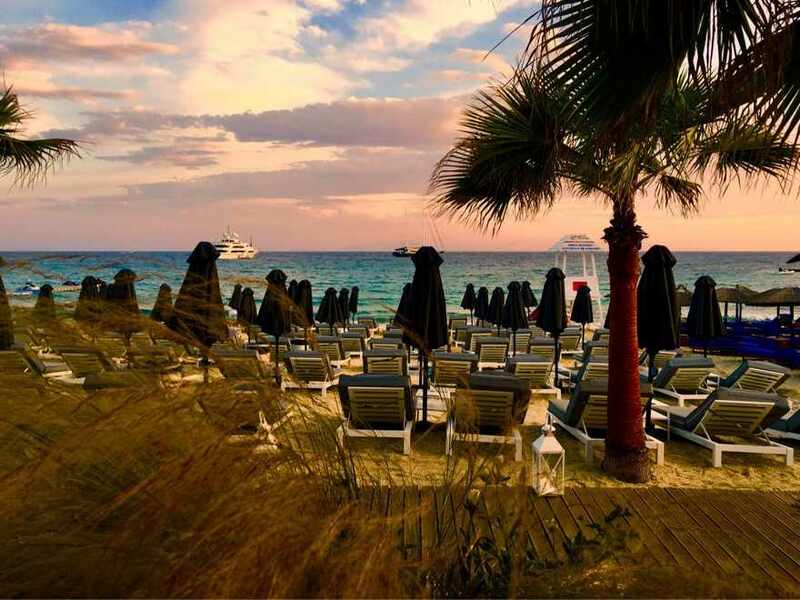 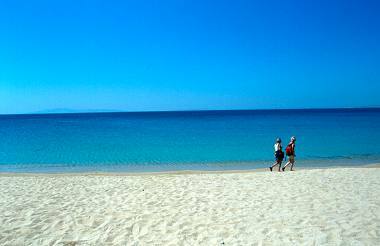 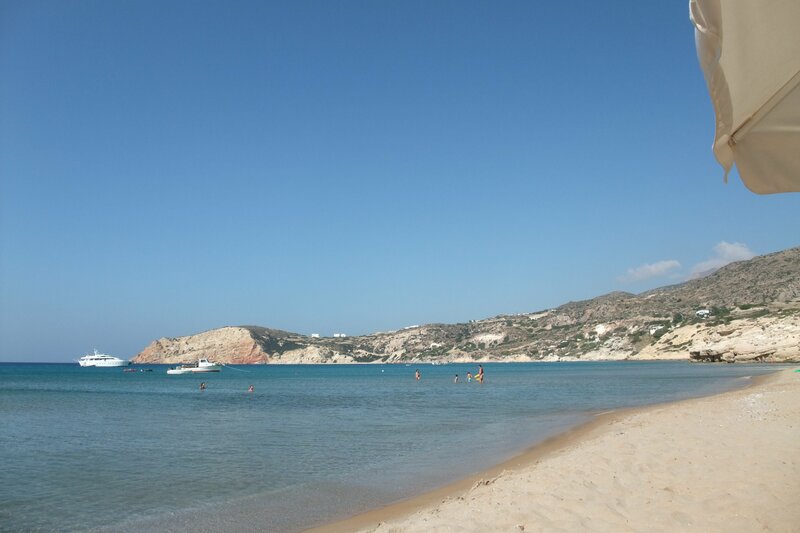 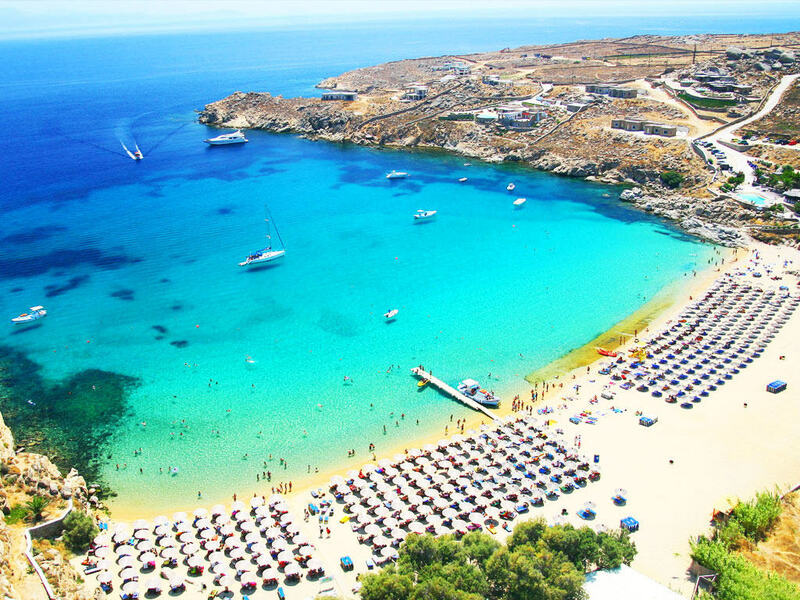 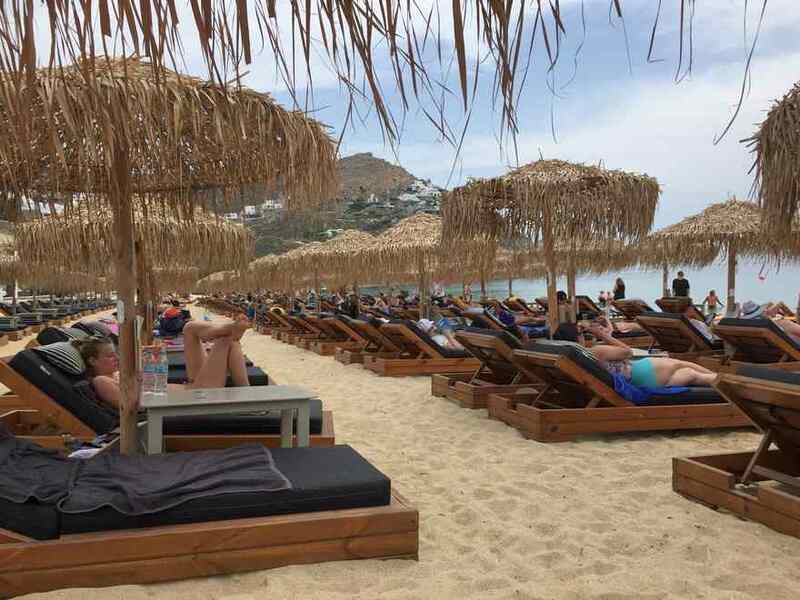 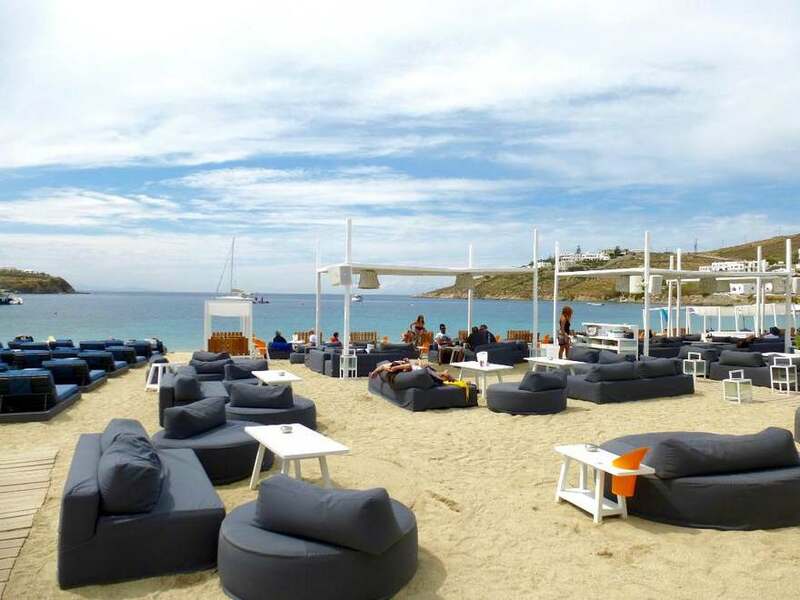 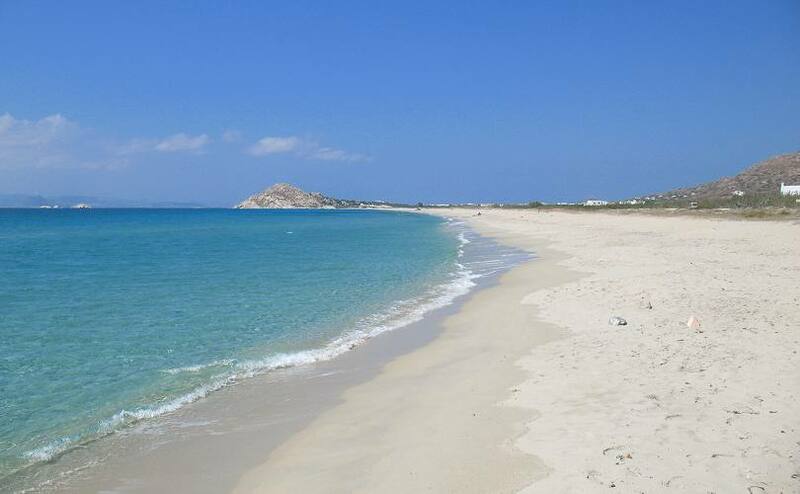 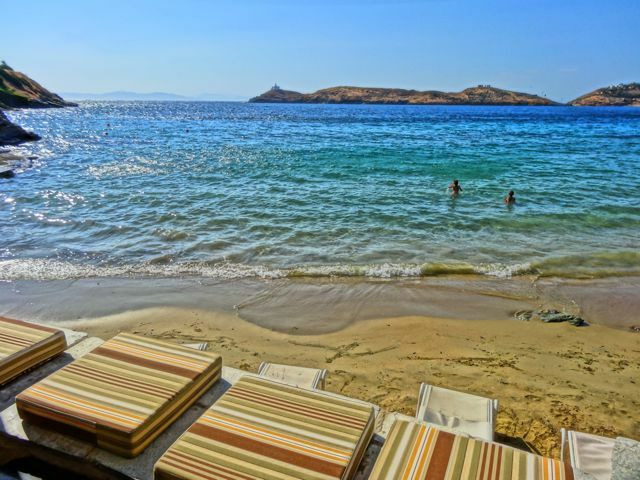 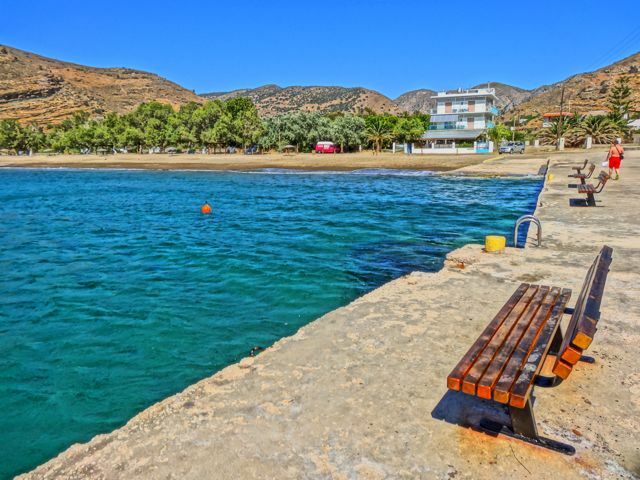 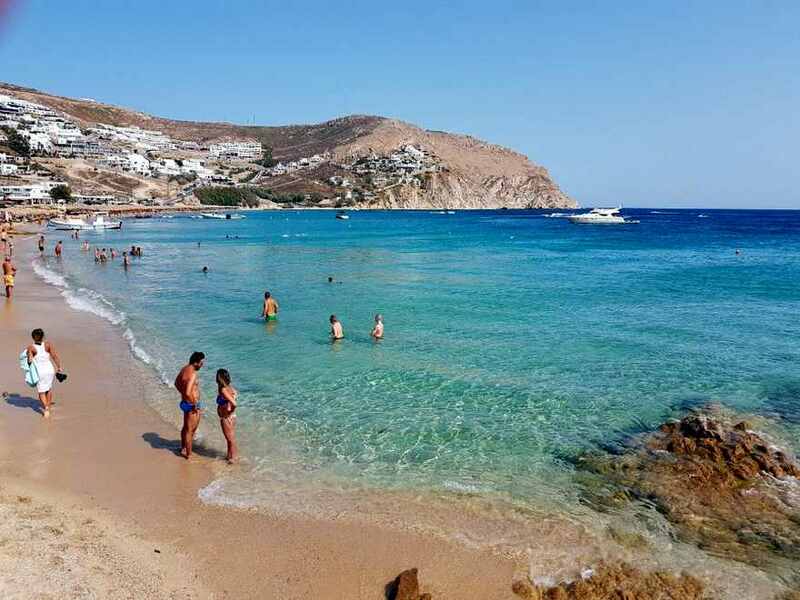 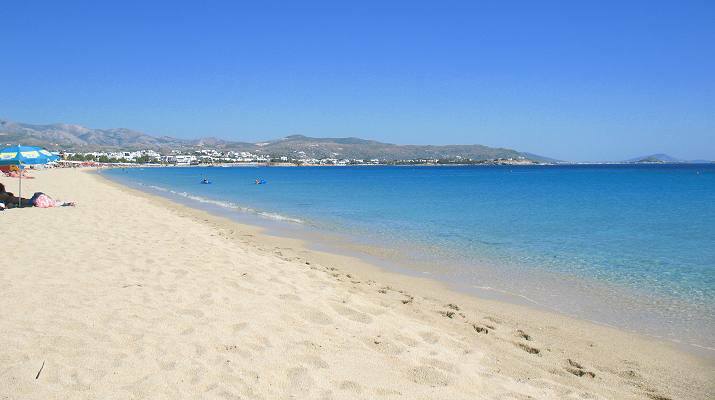 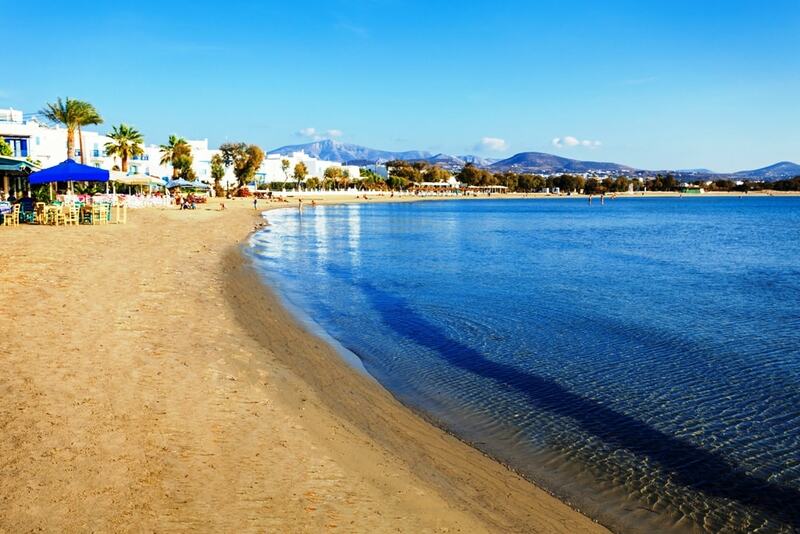 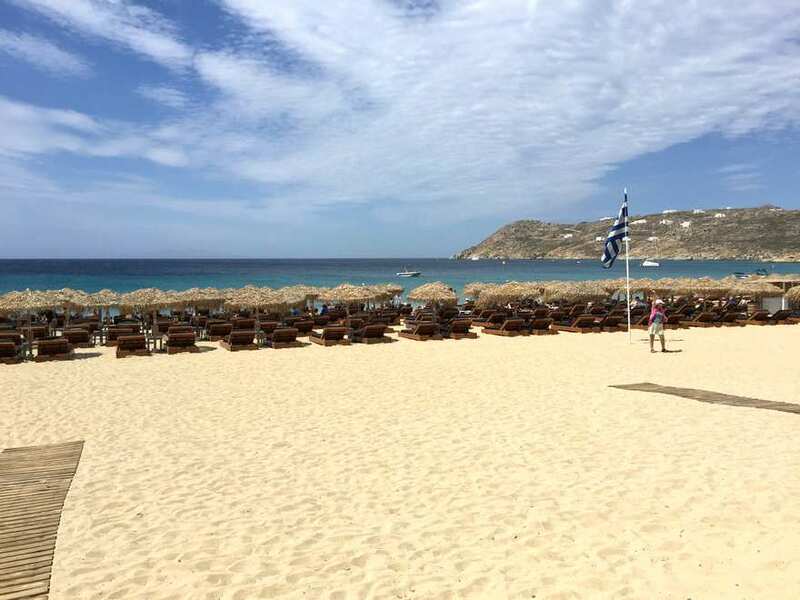 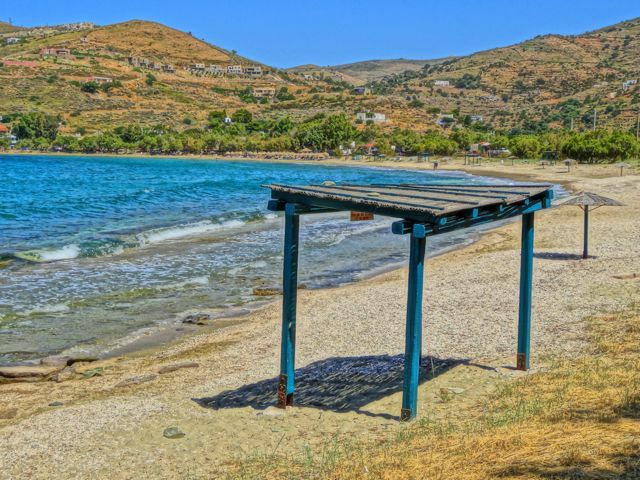 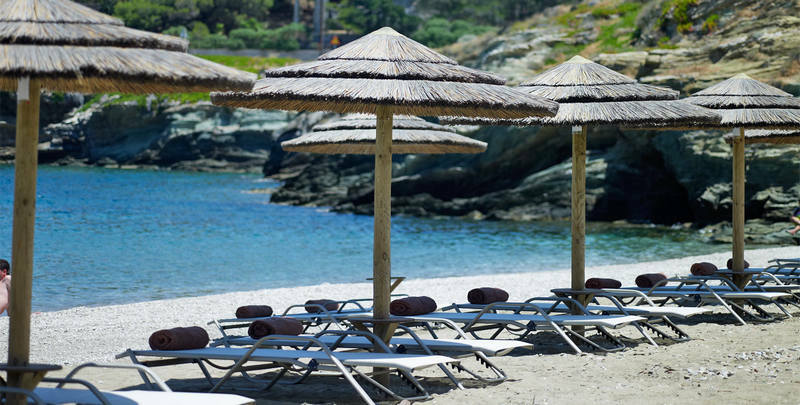 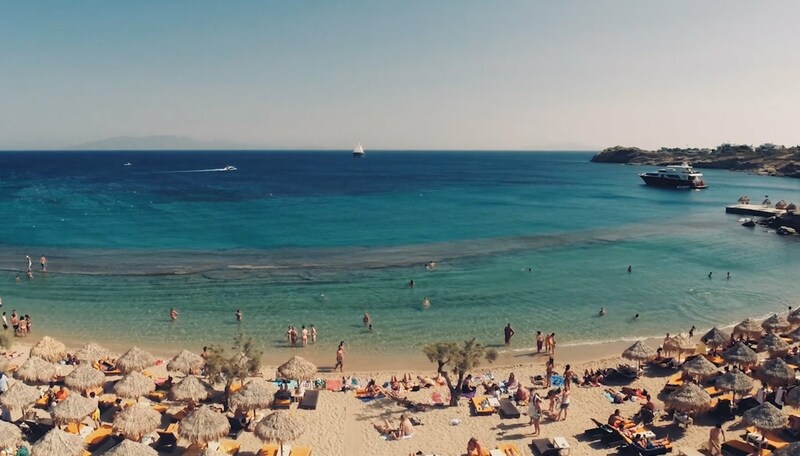 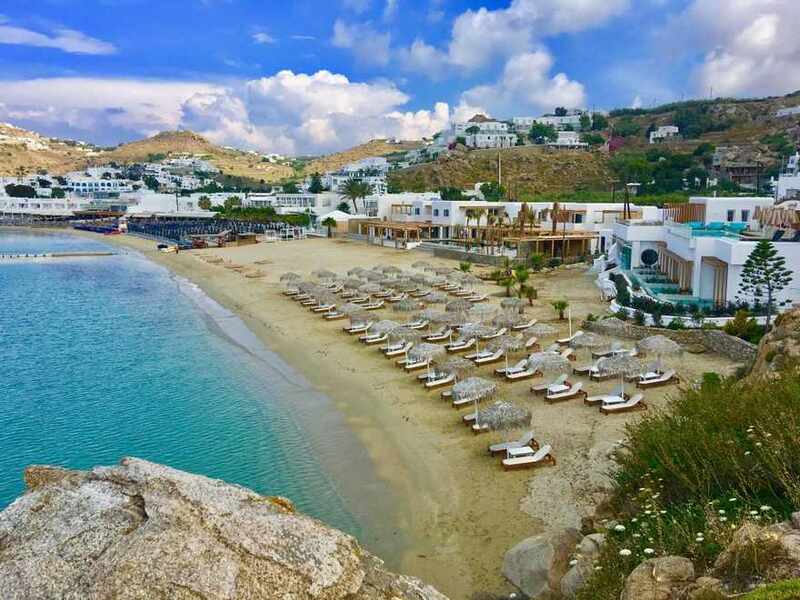 Those beaches are very well organized and popular with all kinds of travellers as they have everything from beach bars to watersports facilities. 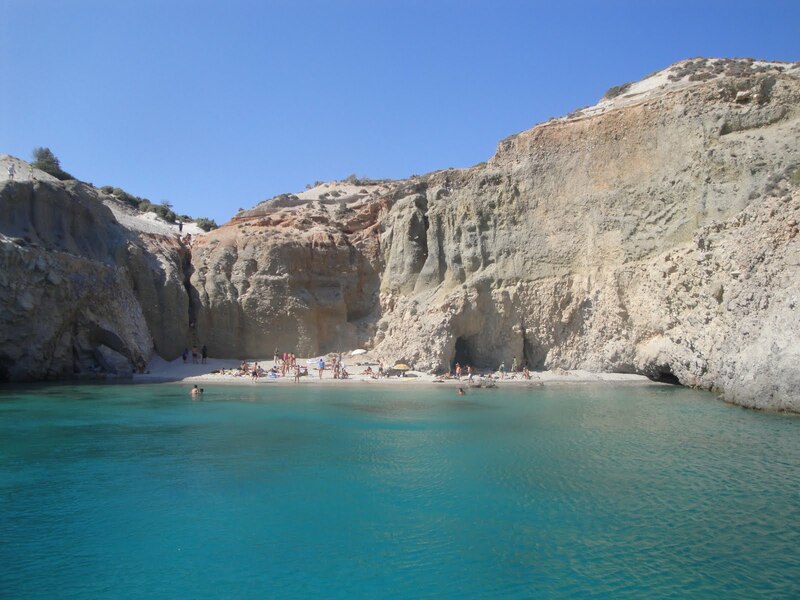 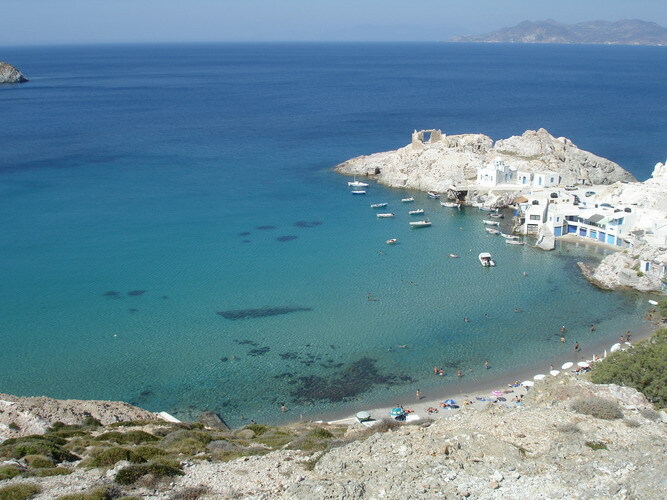 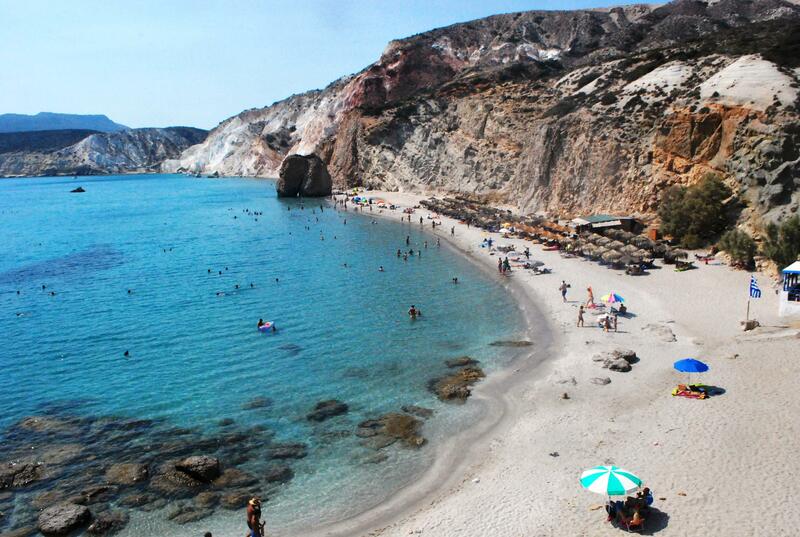 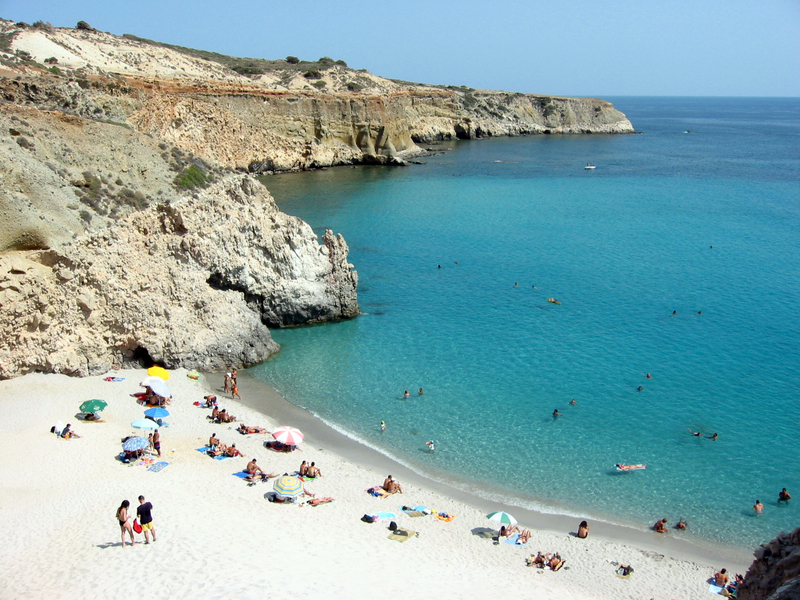 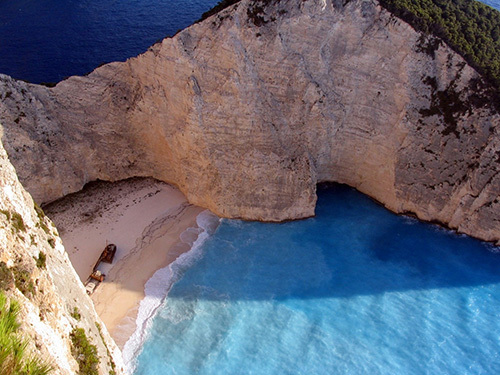 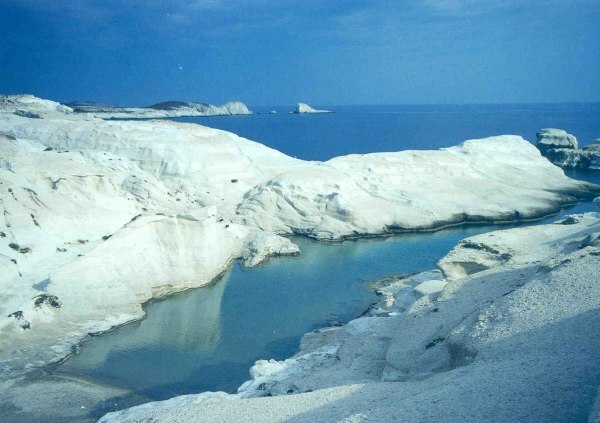 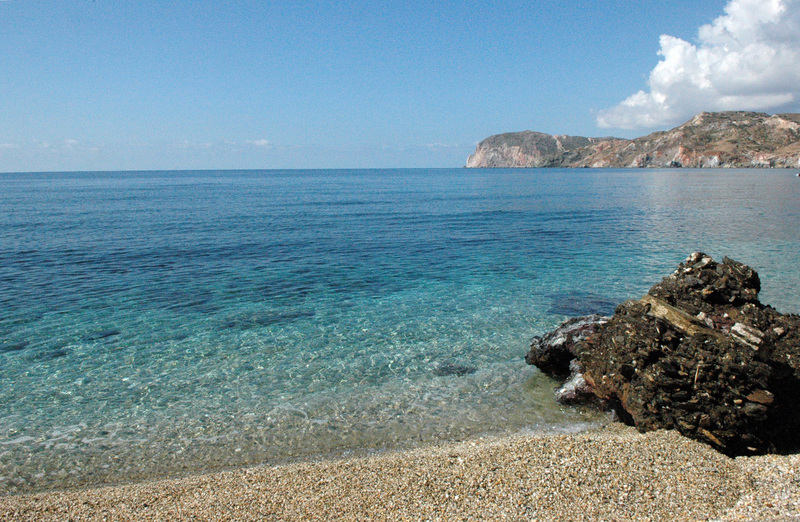 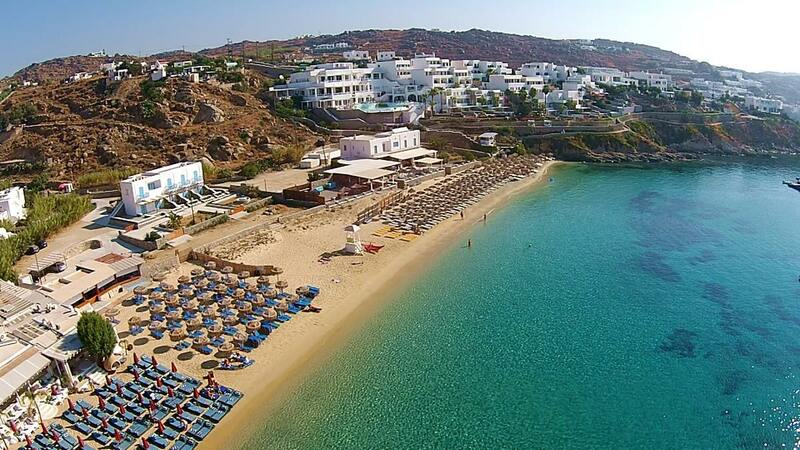 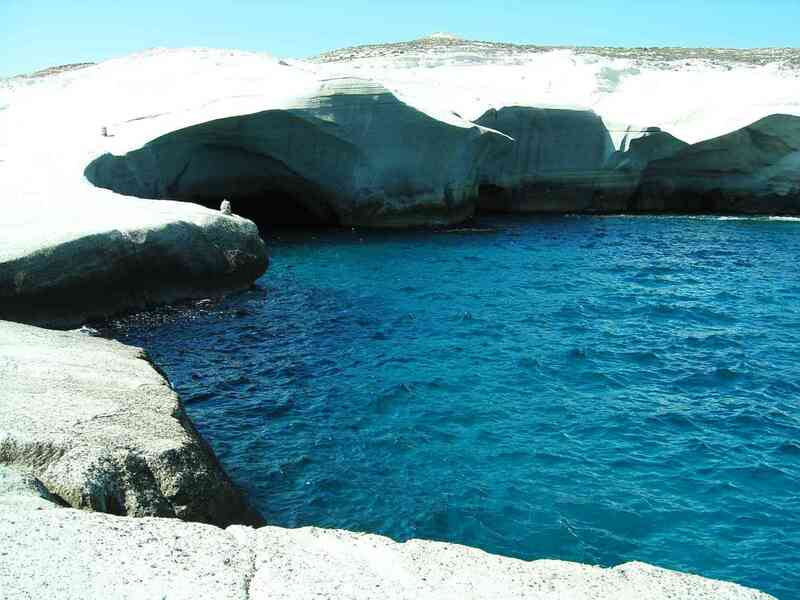 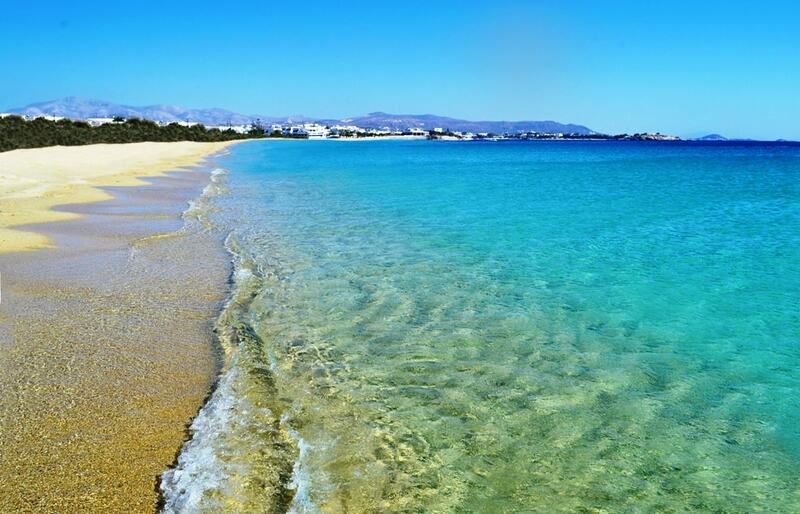 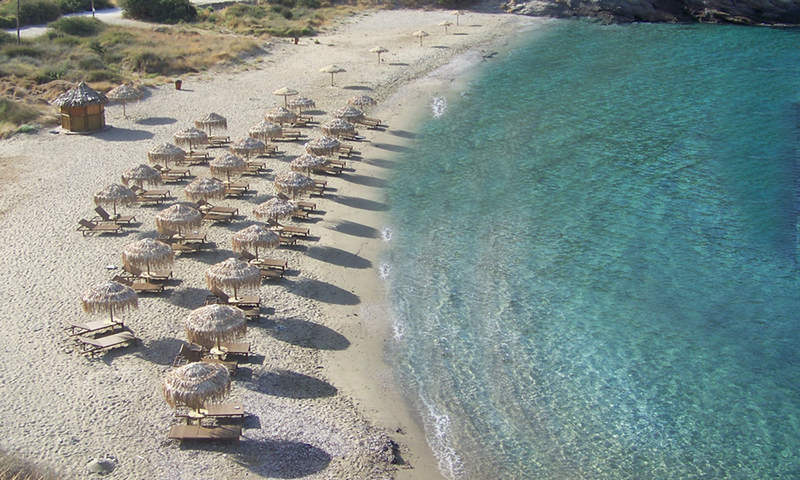 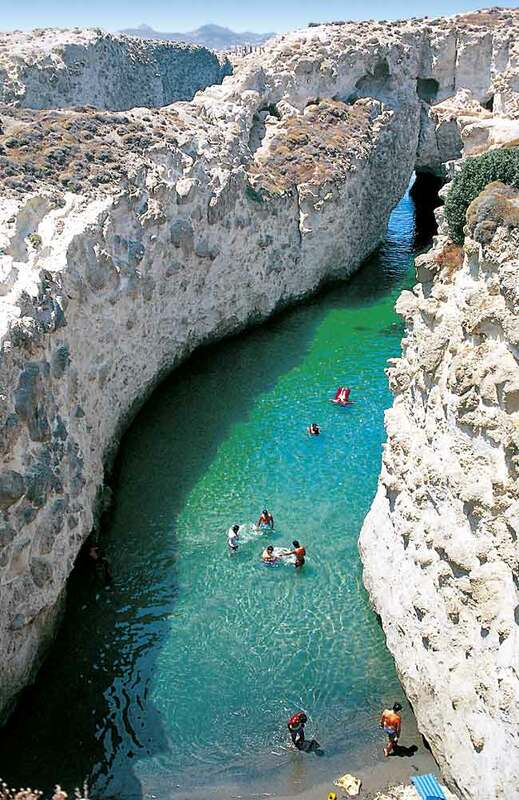 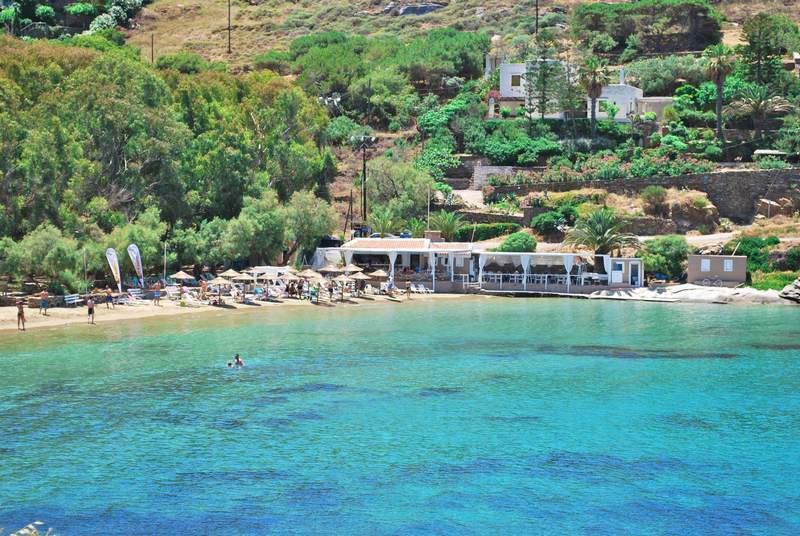 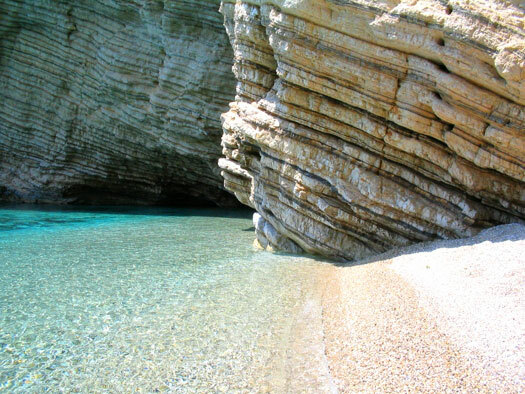 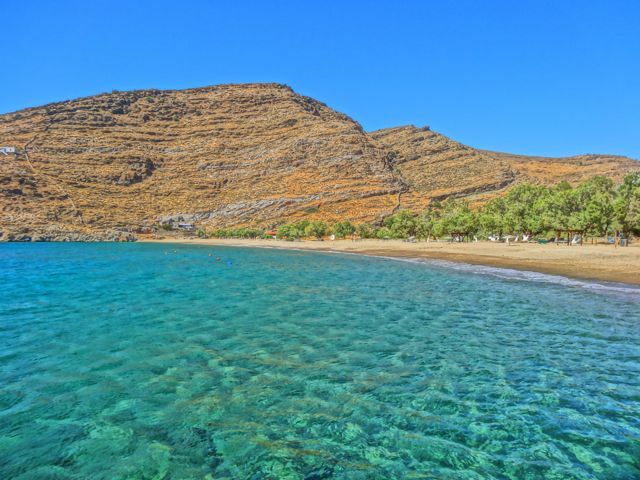 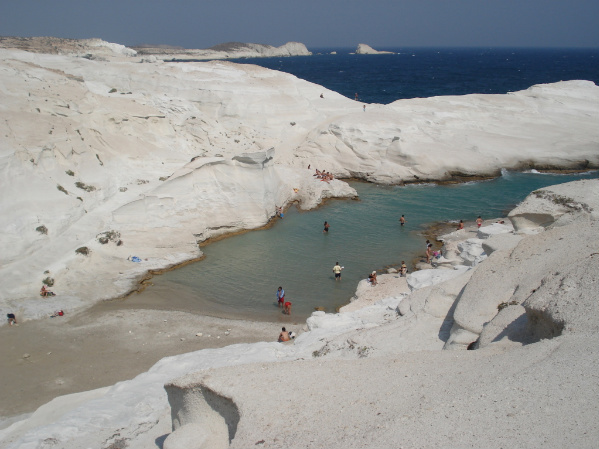 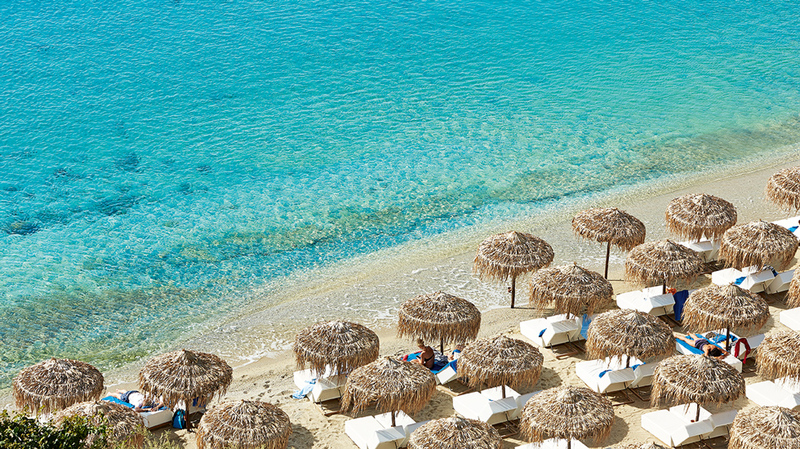 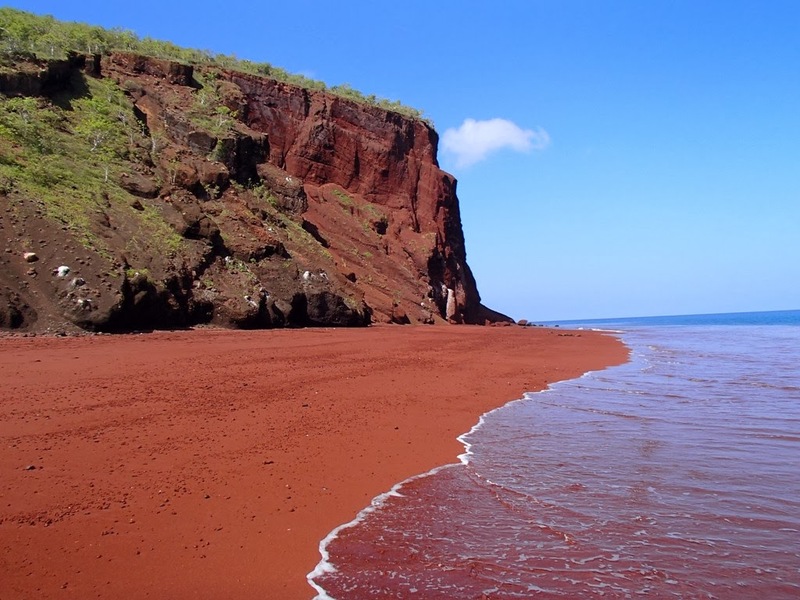 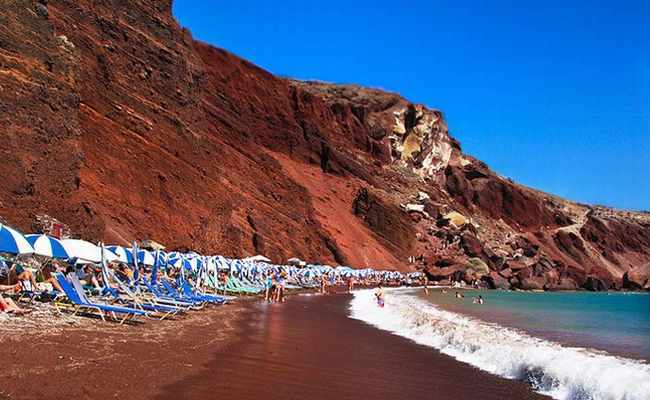 Other stunning beaches on Santorini Island are the Red and White Beaches in Akrotiri, the latter approached by boat.